It is very fitting that Jake’s Sunday Post – Arrangement relates to my Sunday hike in my backyard. 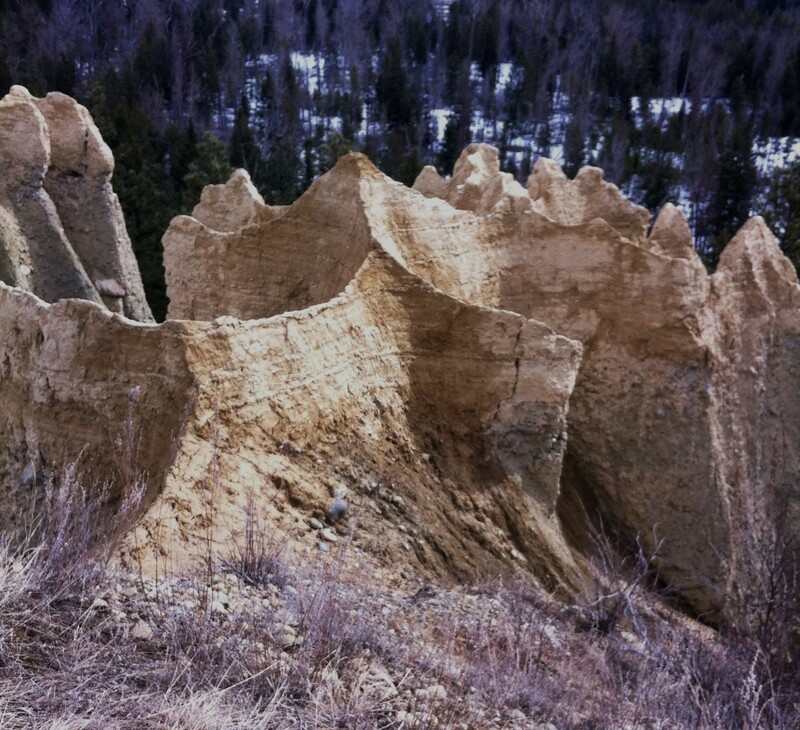 When I took my aerial view of my backyard, I noticed hoodoo formations and was curious as to where they were located and how close I could get to the formations. 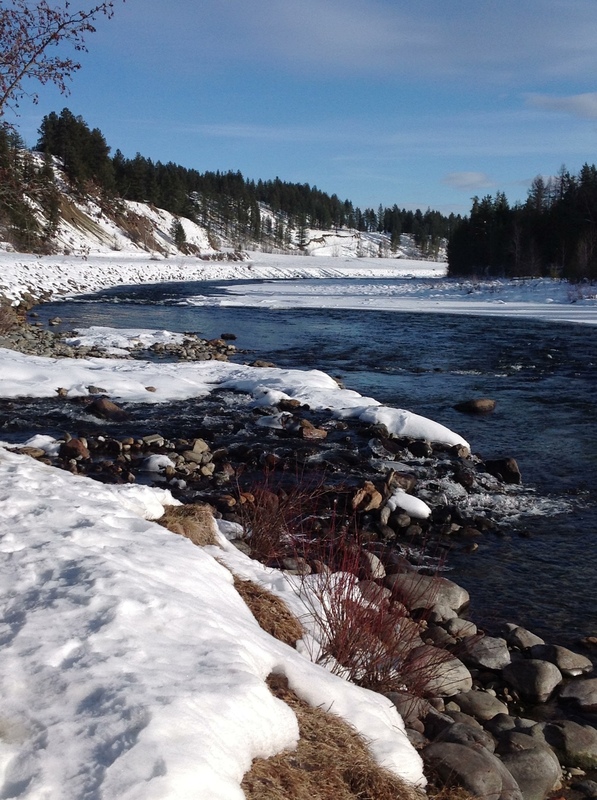 I could tell from the track that it was part of Bootleg Golf course and along the St. Mary’s river. With a hiking companion along for the adventure, we started by following the river until we reached a point where there was no further access and climbed up onto the boundary of the golf course. We followed the golf course boundary keeping the river on the right. 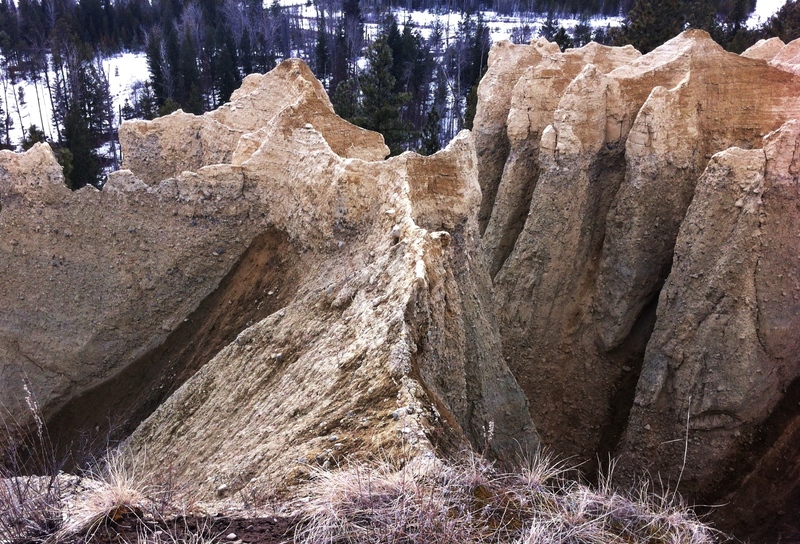 At the very end of the developed golf course, we found the hoodoos. Over thousands of years, wind, rain and harsh cold weather have carved the sandstone in beautiful arrangements. 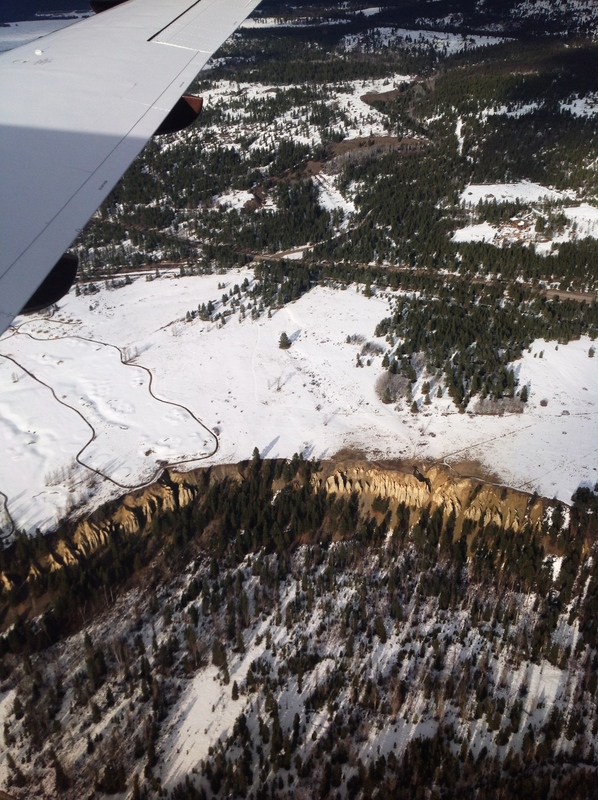 I could see the layers and coloration of the cemented earth. There were trees and shrubs trying to eke out existence in the compacted ground. 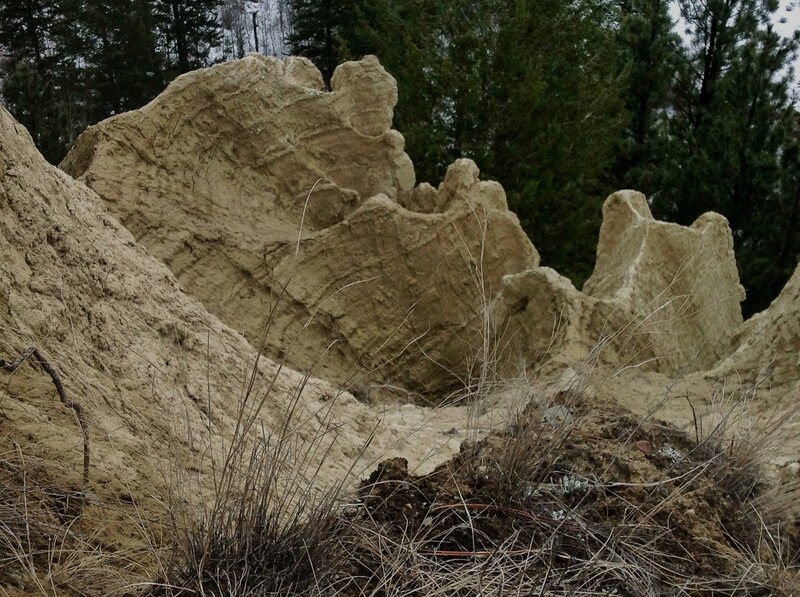 I could see large cracks in the formations waiting for the heavy Spring rain to splinter the formation and send earth tumbling down the embankment. One rock arrangement looked like a camel. Look closely to see the crack made by water and frost. How long will it take before it tumbles downward. A camel formation. I wonder how many years this was in the making. 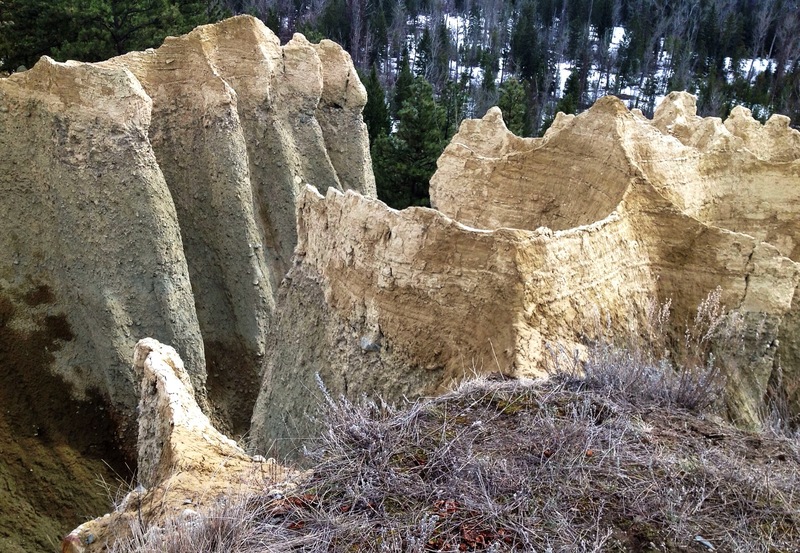 My hiking companion believes that once the snow has melted and after Spring runoff, that we should be able to approach the hoodoos from the river. That will be another hiking adventure for late Spring. 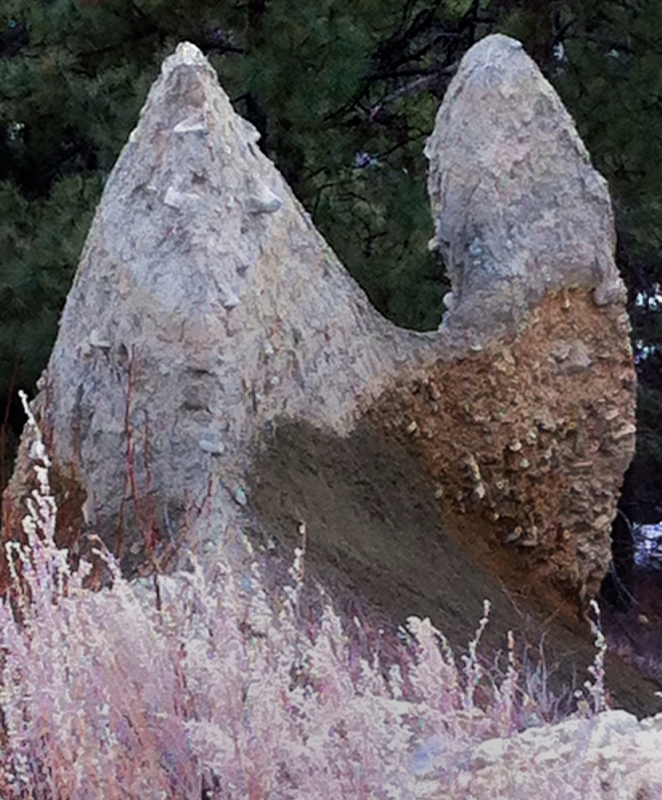 Then we can see the formations looking up. This entry was posted in Challenges, Creativity, Finding Joy, Fun, Hiking, ipad, Out My Backdoor, Phonegraphy, Photography and tagged BC, beauty, Challenge, El Camino. Walking, enjoyment, fun, ipad, iphone, Jake's Sunday Post, joy, Nature, Out My Backyard, Phoneography, Photography, postaday, s. Bookmark the permalink. I love these sculptural shapes, thanks for sharing them. And I hope you do return in late spring — each season, every walk becomes a different walk, don’t you find? Absolutely! I like that phrase “every walk becomes a different walk”. I do enjoy your escapades of TO. The street names have remained as I recognize names from – Yikes! – forty years ago. New eyes, different stories. Great! Thanks Jake! It is fun to participate.